On October 31, 2014, Virgin Galactic’s SpaceShipTwo broke up during a test flight, killing the co-pilot and injuring the pilot. The tragedy signals a setback for Branson’s persisting dream of human spaceflight. This article tracks back the company’s story, from its foundation to date. Richard Branson at the Time 100 Gala, May 3, 2010. Credits: David Shankbone. 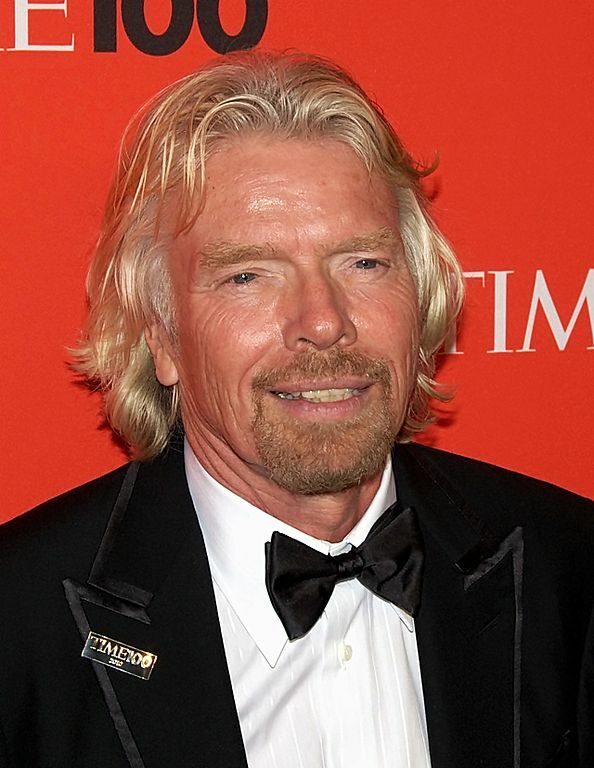 Sir Richard Branson’s entrepreneurship started with a mail-order record company, Virgin Records, at the turn of the 70s. The company earned the British high-school drop out enough money to move on to his next enterprise, a music label that, by windfall, drew talented, smash-hit artists. His success swelled, increasing his clout and expanding his portfolio of companies to include those in communications and games. By 1984, Branson had a stake in the sky, as well, having founded Virgin Atlantic with one plane and a vision to make the flying experience “pleasant.” Branson’s laid-back, people-centric attitude grounded him in fame and fortune, and in the mid-1990s he, for the first time, publicly entertained commercial spaceflight. Having already set the world record for crossing the Atlantic and Pacific Oceans in a hot air balloon , venturing into the space tourism industry seemed like the next best thing for Branson. It was an idea he had nurtured ever since he watched the moonwalk of 1969. The X-Prize, now called the Ansari-X Prize, was the final kicker he needed to set his plan in high motion. XPRIZE is a nonprofit founded to incentivize radical innovations that benefit all of humanity. The organization sponsors high-profile competitions that inspire solutions to the problems of famine, disease, corruption, energy usage, and so on. The underlying idea is to use competition to help bring global peace, safety and health. In 1996, XPRIZE promised a $10 million prize to the first non-governmental organization to launch a reusable manned spacecraft that could reach suborbital space (100 km above sea level) twice in two weeks. Branson, along with to-be president of Virgin Galactic Will Whitehorn, went in search of the most promising competitor. In 1999, after seeing many duct-tape concepts and a few plausible ones, Branson and Whitehorn focused their attention on aviation engineer Burt Rutan. Rutan founded the air and spacecraft design and production company Scaled Composites in 1982, and was backed in his XPRIZE venture by Microsoft cofounder Paul Allen under the company name, Mojave Aerospace Ventures. 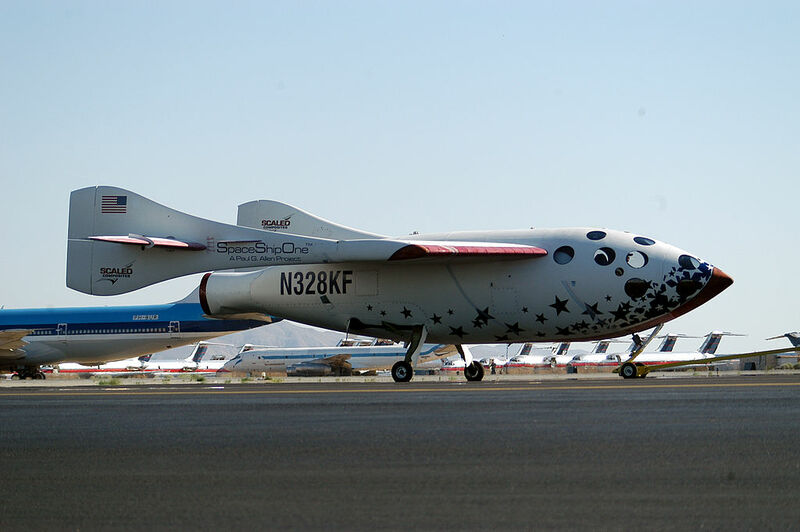 Together, the two companies built SpaceShipOne, a high-altitude research rocket with high-drag capability for atmospheric re-entry and a nitrous-oxide/rubber-fuel hybrid propulsion system. In 2004, Branson sponsored the technology, just in time for good news. After taking off at Mojave Air & Space Port in California and being released from the twin-turbojet carrier plane White Knight, SpaceShipOne carrying pilot Mike Melvill passed through the outer limits of the atmosphere, well above the bulls-eye of 100 km. Less than a week later, Brian Binnie piloted the second successful flight, earning the team the cash prize and a write-up in history: the flight marked the first time an aerospace program completed a manned mission without government sponsorship. Just a few days before, Branson had announced his intention to launch the world’s first commercial space tourism venture. The prize-winning flight, donning the Virgin brand, gave people from around the world a real-time preview of what was to come. Virgin Group licensed Mojave Aerospace Venture’s technology shortly thereafter, inaugurating Virgin Galactic, a name Branson had registered back in 1999. SpaceShipOne made 17 flights in all before retiring to a room in the National Air and Space Museum in Washington, D.C. In July 2005, Branson and Rutan signed an agreement to form a new aerospace production company, The Spaceship Company, jointly owned by Virgin Group and Scaled Composites. Virgin Galactic became the sole owner in 2012. After the launch of SpaceShipOne, Branson, Rutan and their respective teams dove into designing the six-passenger, two-pilot SpaceShipTwo and its carrier jet, WhiteKnightTwo, named Eve after Branson’s mother. The Virgin Mothership Eve (VMS) became the world’s largest, all carbon composite aircraft. SpaceShipTwo, named Virgin Space Ship (VSS) Enterprise, was powered by a hybrid rocket motor, a cross between a liquid-fuel and solid-fuel rocket motor. The year 2007 brought bad news when employees of Scaled Composites Eric Blackwell, Charles May and Tod Ivens were killed during a ground test involving pressurized nitrous oxide, the rocket motor oxidizer which, when combined with fuel, serves as the propellant to produce thrust. Below, a promotional video from Virgin Galactic. The first captive carry flight occurred in March 2010, and in October 2010, the first piloted free flight. By this time, WhiteKnightTwo had completed 40 test flights, including four captive carry flights. Peter Siebold and the now-perished Mike Alsbury—the same two pilots who manned the deadly Oct. 31 flight—successfully released the spaceship from the WhiteKnightTwo carrier at 13,700 meters, and then glided to a safe landing at Mojave Air and Space Port. In 2011, SpaceShipTwo completed its first feathered flight when the spacecraft’s tail section rotated upwards during the descent, slowing the vehicle. This marked a key milestone given recent evidence suggesting the mid-air of breakup on Oct. 31 had to do with both human error and mechanical malfunction involving the feathering system. In April 2013, the team completed the first rocket-powered supersonic flight and in September 2013, the second. In 2014, the spacecraft set a record-breaking altitude of more than 21,600 meters in January and by October had completed yet another successful test of its feather system. The accident, which took place over the Mojave Desert in California, killed 39-year-old pilot Michael Alsbury and injured 43-year-old Peter Siebold. In the video below, an embarrassed Richard Branson discusses the future of Virgin Galactic on CNN Money. As of November 2014, Scaled Composites is about 60 percent through the completion of a second SpaceShipTwo named Voyager. The NTSB investigation is expected to take months.